Little, Brown and Company, 9780316509619, 320pp. Rear Admiral Michael Giorgione, CEC, USN (Ret.) has served a total of 29 years on active duty in the United States Navy and four years at the Naval Academy, retiring in 2010. 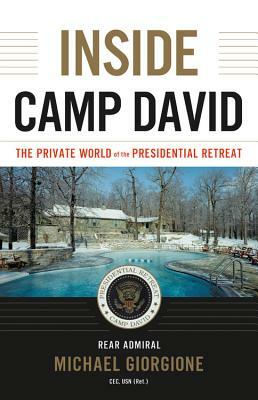 He has served as the Commander of Camp David for President Bill Clinton and President George W. Bush, as well as working under the White House Military (WHMO) in the East Wing of the White House along with those in command of Air Force One, Marine One, Aides, and other White House Military. He is currently a much sought after speaker and educator throughout the United States and the world.